New, professional color pencils were on my wish list for some time. 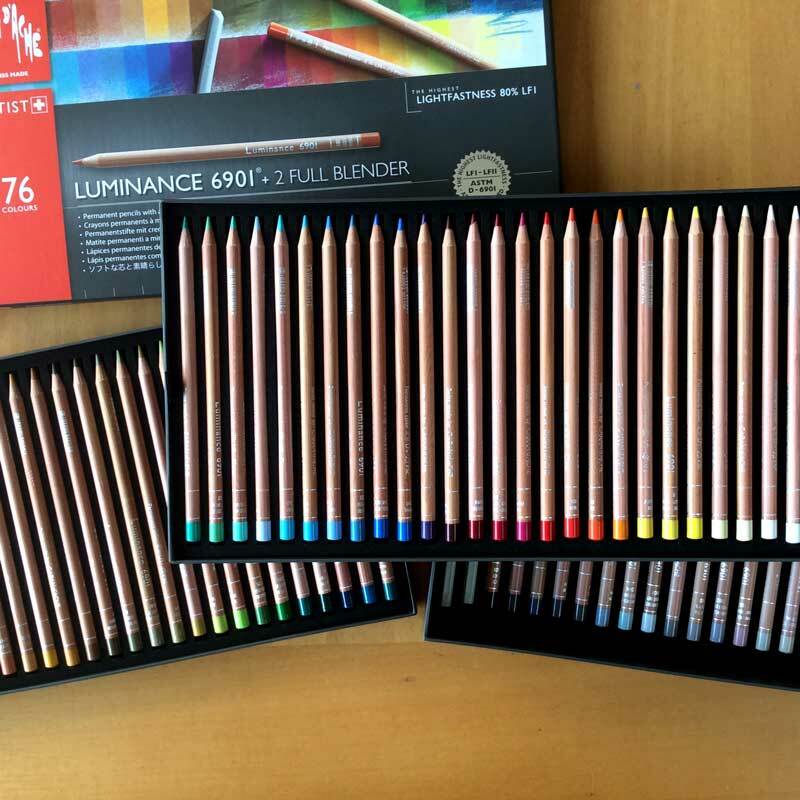 Over the years I collected some Derwent and Faber-Castell pencils in limited colors and used an old set of crappy Bruynzeel pencils, so I was very happy to receive this set of Caran d’Ache Luminance color pencils for my birthday recently. These sets are pretty expensive and I did some research first by reading reviews and visiting fora to find out which one would suit me best. And of course the best way to find out is to try them out in an artist supply store. I tried these and the Derwent Color Soft pencils, also nice and a bit less pricy. 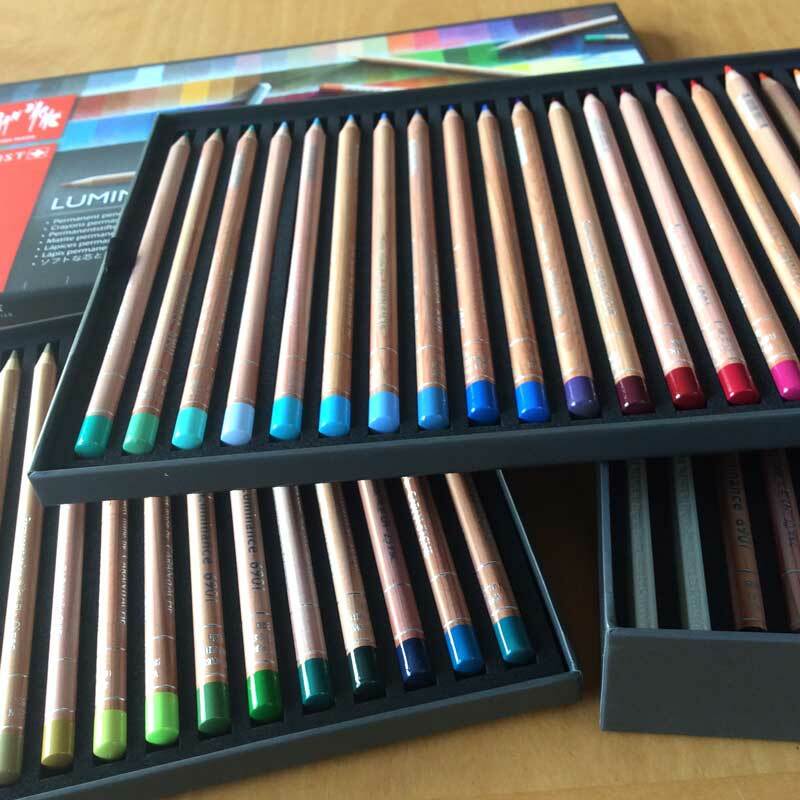 I bought a few Faber-Castell color pencils in an art supply store in Edinburgh last summer, which I liked too. But in the end I choose the Caran d’Ache Luminance pencils. They meet the highest standards of lightfastness, which I think is important and they are very smooth to work with. My expectations were high and they didn’t disappoint me at all. When googling the subject I stumbled across some nice tutorials on color pencil techniques as well. 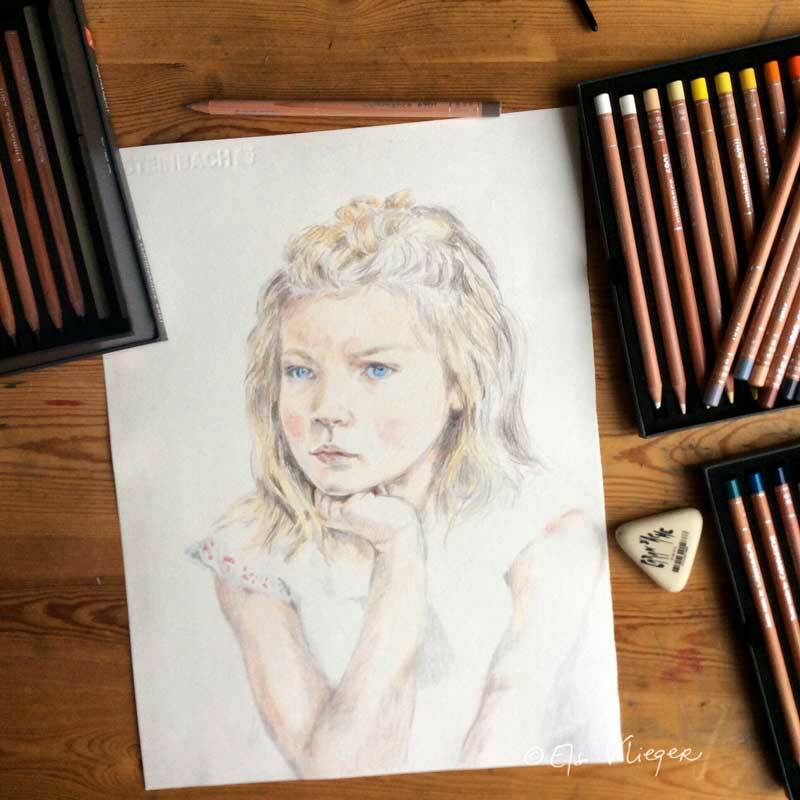 Even though I found these artworks a tad kitschy, they’re nevertheless impressive and it’s very good to learn new skills from a color pencil artist like her. 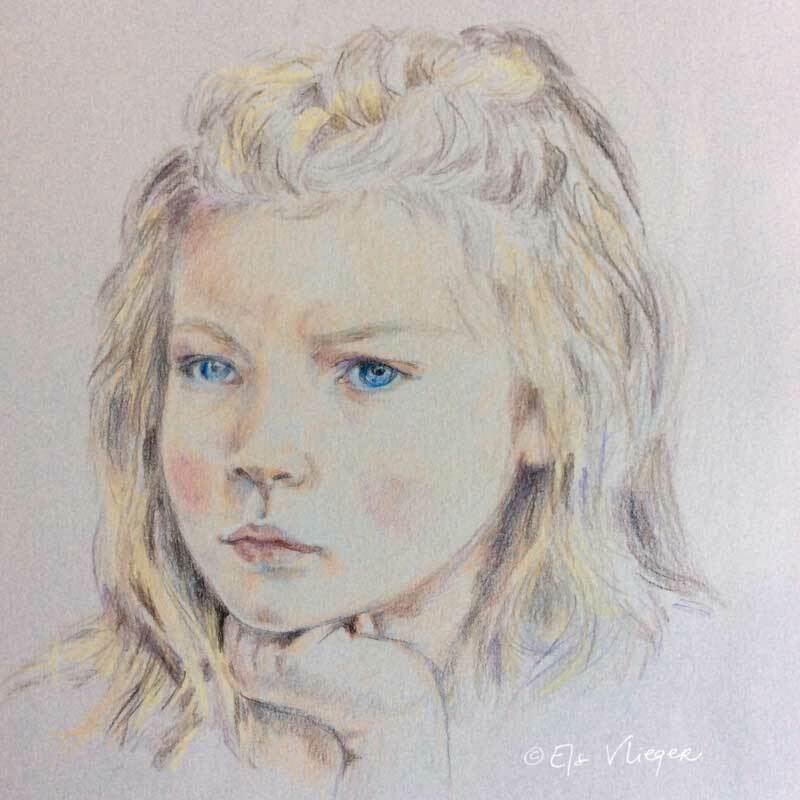 This little portrait of a girl was my first try. The brown paper is lovely to draw on and gives a nice effect. And then I drew another girl with the new learned techniques on layering. 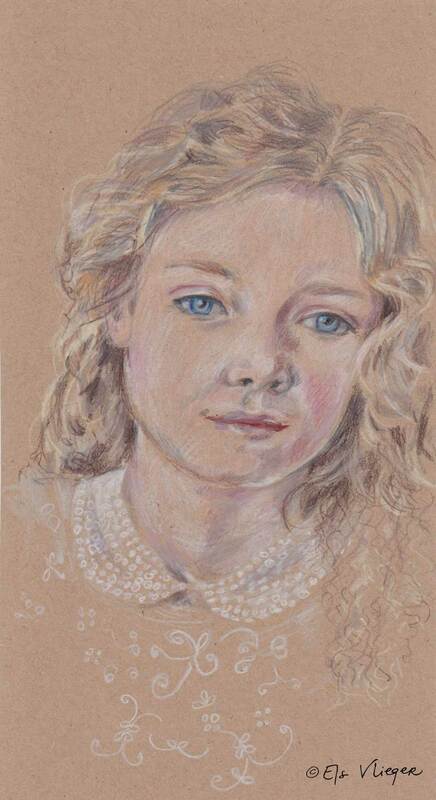 In this first stage the girl’s left eye is a bit too big. I corrected this with a bit of white gouache paint later on. I’m not sure if that’s the way to do this, but for now it worked. 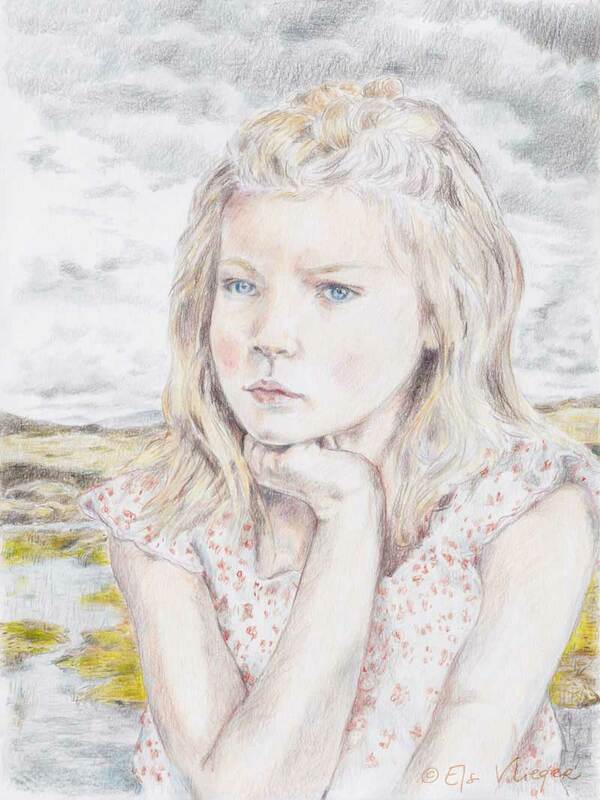 It was fun to do and to draw the landscape behind her. And guess were I got the inspiration for this?